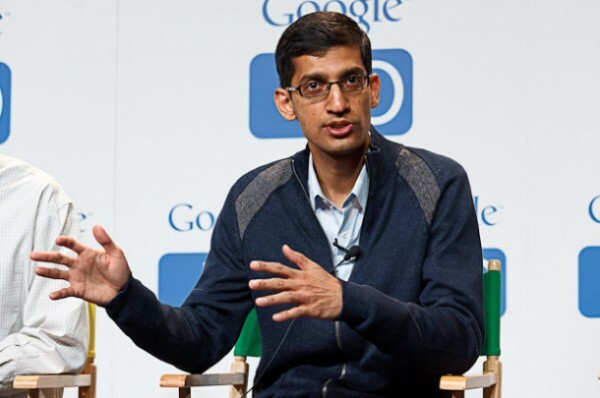 Washington, Oct 25 (IANS) In a major restructuring of Google management, India-born Sundar Pichai, who is already in-charge of Android, Chrome and Google Apps, has been made the chief of core Google products, according to a technology magazine. The highly respected Pichai, 42, will now have purview over research, search, maps, Google+, commerce and ad products and infrastructure, Re/code magazine said in an exclusive story citing a memo to staff by Google CEO Larry Page. The six executives in charge of newly added product areas, all of whom previously reported directly to Page, will now report to the fast-rising Pichai, it said. “The move seems born of Page’s concern – which is not new – that Google will become less innovative as it ages,” the magazine said. In a memo to staff, Page noted that the changes will create less of a bottleneck and also help him focus his attention on existing and new products. Pichai will also continue to directly manage business and operations, including access and energy (a new unit run by Craig Barratt), Nest, Calico, Google X, corporate development, legal, finance and business (including ad sales). However, YouTube is being left out of the centralisation effort, with CEO Susan Wojcicki reporting to Page from the largely independent video unit. Re/Code cited sources as saying that Page has told the staff that he wants to focus on the “bigger picture”. The move, however, is not designed to make Pichai, who has been adding key Google businesses to his orbit for years, heir apparent to Page, it said. From his beginnings managing Chrome, Pichai has also become more widely recognised outside of Google too. Twitter tried to recruit him several years ago for a key product role. His name also prominently figured in the search for a new CEO of Microsoft before the software giant picked India-born insider Satya Nadella. Born in Chennai in 1972, Pichai joined Google in 2004. He earlier worked at Applied Materials and also at McKinsey & Co. He attended the Wharton School at the University of Pennsylvania, Stanford University and the Indian Institute of Technology Kharagpur.